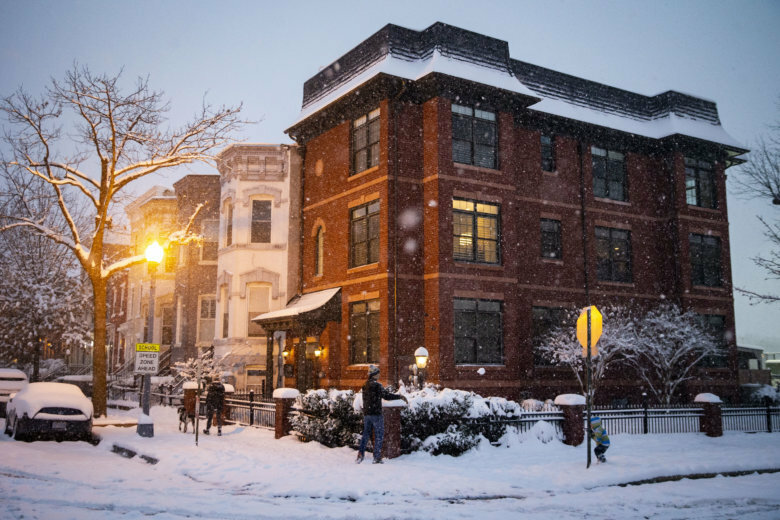 WASHINGTON — The D.C. region endured its first major snowstorm of 2019, bringing with it rounds of closures and icy road conditions. Most schools in the WTOP listening area had announced they’d be closed Monday on account of the snow. Federal offices in the D.C. region would also be closed Monday, the Office of Personnel Management announced Sunday night. Emergency and telework employees will be expected to work. WMATA suspended Metrobus service due to hazardous road conditions and said it planned to offer limited service Monday morning, only operating on major roads. At Dulles, bad weather halted planes for about a half hour after the Federal Aviation Administration issued a ground stop. What are you seeing in your area? Send us your photos to be featured in our photo gallery. The snow is expected to wind down tonight and most of the region is under a winter weather advisory until Monday morning. But as the snow tapers off, the region will have to face a new challenge: the re-freeze. 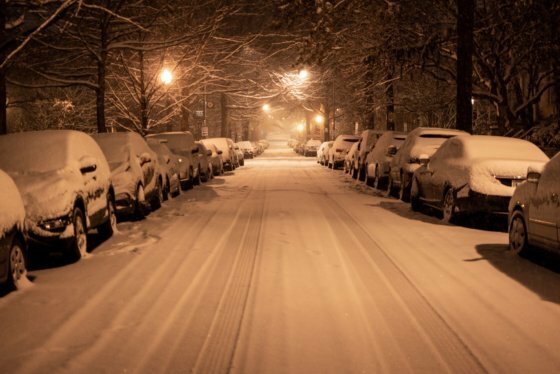 Overnight temperatures are expected to fall to low-to-mid 20s, which Storm Team 4 meteorologist Mike Stinneford says will make for an icy commute Monday morning. See the latest photos from the storm, and submit your own. Because Monday night temperatures will struggle to get above freezing, Tuesday morning’s commute is expected to be icy, too, according to Stinneford’s forecast. Temperatures are expected to rise back into the 40s on Tuesday and Wednesday, helping to melt away the lingering snow, Stinneford says. This weekend, persistent snow and flurries led to hazardous conditions. As of Sunday evening, most places in the area had reported at nearly a half foot of snow — some parts of Maryland and Northern Virginia saw as much as 11 inches. In Maryland, the State Highway Administration had deployed 2,500 crews across the state on Sunday night. “It’s a messy situation, but it’s a good thing it’s a Sunday and not a Tuesday,” said John Schofield, a spokesman for the state highway administration. Schofield said the school cancellations for Monday gave crews more time and space to clear away the roadways. “We’re just trying to salt and react here,” Schofield said. On Saturday night, a vehicle crashed into one of the state’s 40-ton snow plows on Interstate 270, according to SHA spokesman Charlie Gischlar. He cautioned drivers to give snow plow operators the space they need to do their jobs clearing the road — at least 50 feet. “Don’t crowd the plow,” Gischlar said. Virginia State Police said that since midnight Sunday, troopers had responded to more than 230 crashes and had helped 117 motorists who were stuck. Virginia State Police’s Fairfax Division responded to 34 traffic trashes and 52 disabled vehicles since Sunday morning. Virginia Gov. Ralph Northam declared a state of emergency Saturday night, in preparation for what was to come. For the latest traffic, visit the WTOP Traffic center. Snow, moderate to heavy at times. Expect additional accumulations of 4 to 8 inches on top of what has already fallen. Total accumulations of 6 to 10 inches possible in the D.C. metropolitan area, and close to a foot in central Virginia. Expect lighter amounts north of D.C. toward Baltimore, where two to four inches are possible.